Featuring a wide variety of alloys and shapes for all electroplating processes including INCO Nickel, High Grade Zinc, CDA 101 Copper. Featuring 2% boron-copper and 2% lithium-copper hardeners, master alloys, deoxidizers, and degasifiers. 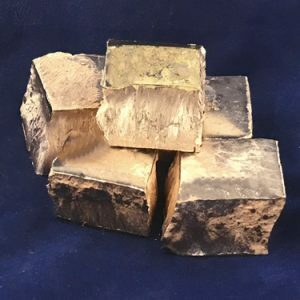 Featuring Everdur Silicon Bronze, Art Caster’s Brass, Special H Silicon Bronze, Beryllium Copper, Jewelers’ Manganese Bronze, and White Bronze. Easily cast White Brass Alloy with good fluidity and high detail. 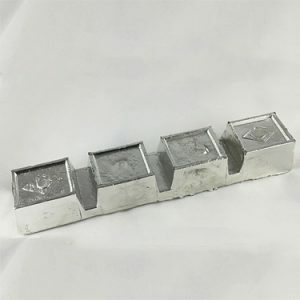 We offer this material in a variety of forms including Ingot, Cut Bars, Cubes and Shot. 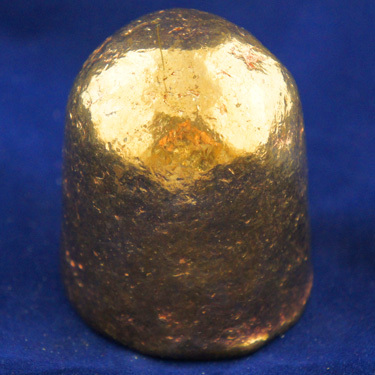 Bell metal is a hard alloy used for making bells and related instruments, such as cymbals. 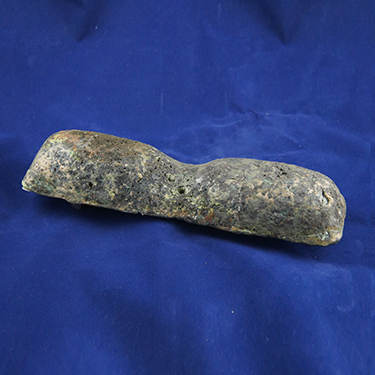 It is a form of bronze with a higher tin content, usually in approximately a 4:1 ratio of copper to tin (typically, 78% copper, 22% tin by mass). We offer this material in Ingot, shot, and cut pieces. 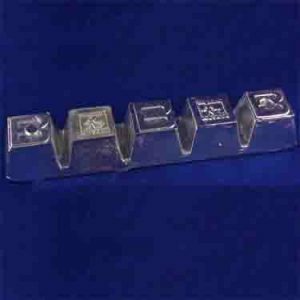 This is our most popular Lead Free Zinc Alloy that works well in Spin Cast Vulcanized Silicone Molds for designs with thin cross sections or maximum detail. Contains Proprietary Grain Refiners for improved flow into the mold. Density: .244 lbs / Cu. In. 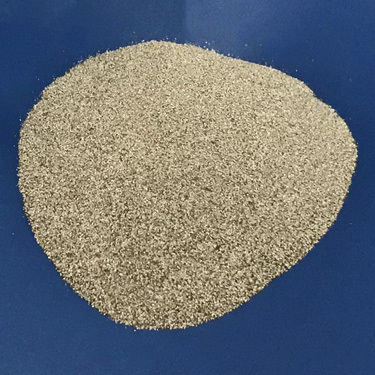 Zirconium acts as a grain refiner in Copper Alloys and can improve mechanical properties. This Lead Free Pewter Alloy is high in Copper to allow it to work well in Open Face, Gravity Pour, Sand and Cast Iron Molds with maximum detail. Has good strength. 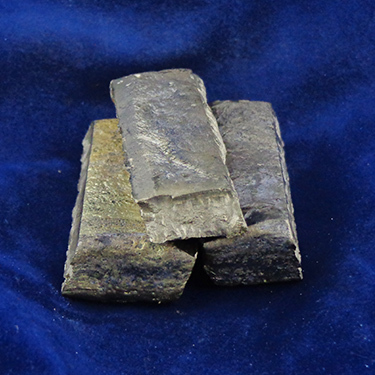 Tin: 91-93% with Antimony and Copper. 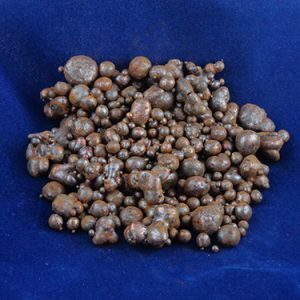 Zamak 5 should be consider when moderately greater hardness strength and creep resistance is require over Zamak 3. 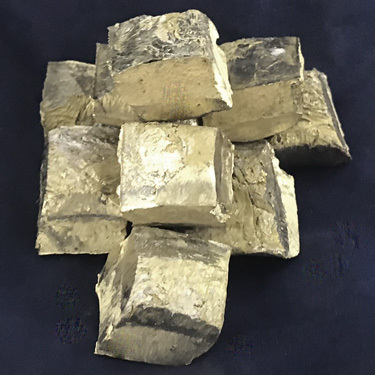 Zamak 5 has the same composition as Zamak 3 with the additional of 1% copper in order to increase strength (by approximately 10%), hardness and corrosive resistance, but reduces ductility. 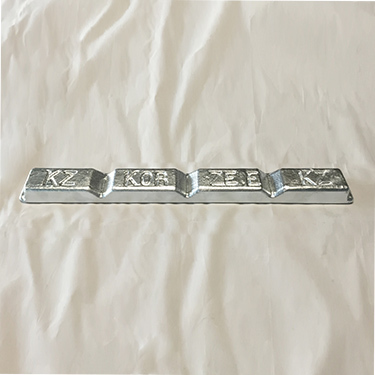 Zamak 5, or Zinc alloy 5, is the most widely used Zinc die casting in Europe. It has higher strengh and less ductility than other members of the Zamak. 99.9% Tin Anodes designed to maximize the surface area, provide excellent dissolution in the plating bath, and produced with fine grain structure. Custom lengths available. 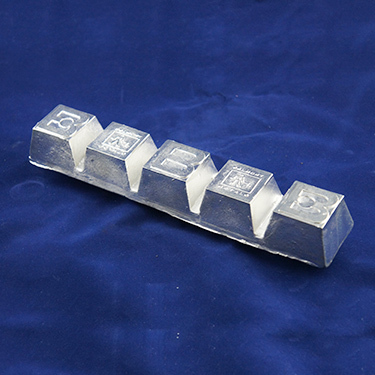 Zinc Base Alloy commonly used in rubber mold casting. Easy to cast and very ductile. 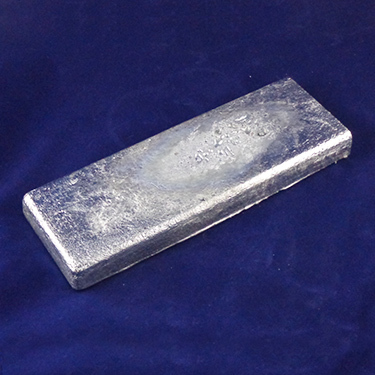 Lowest melting point of our Pewters, providing for longest mold life and lowest energy costs. Approximately 90% of Manganese Powder is used in the steel industry as Manganese is made into steel alloys. One of the best known alloys of Manganese Powder is Ferromanganese which includes up to 48% Manganese mixed with Carbon and Iron. It is also used to produce Siliconmanganese as well which is used in springs for structural components. 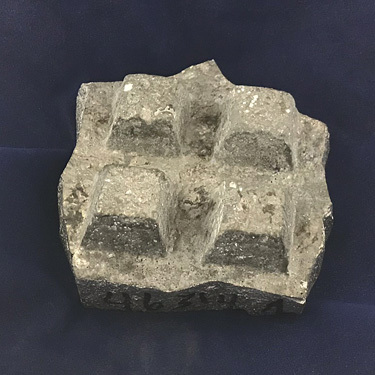 Compound Degasifier engineered to be effective at removing unwanted gases when used with Aluminum Bronze family of Alloys. Phos Copper is the most commonly used deoxidizer. 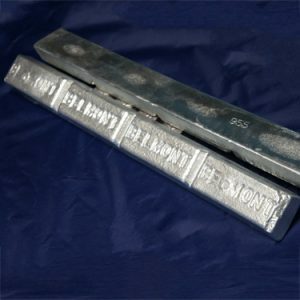 Effectively removes oxygen from molten metal with little or no reaction or dross formation. Compound Degasifier engineered to be effective at removing unwanted gases when used with Nickel Alloys. Good ductility, high conductivity and the ease of joining make Copper the world's #1 choice for the transmission of electrical power in an untold amount of applications. 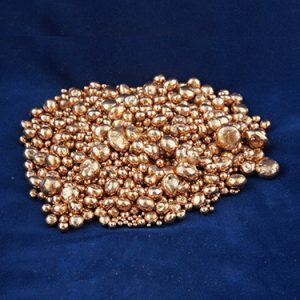 Belmont offer High Purity Electrolytic Copper, the most widely used grade of pure copper, in a wide variety of forms to meet your specific application. 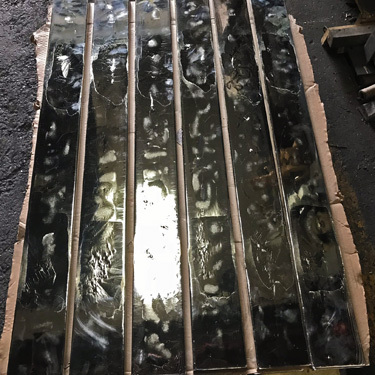 Made with the highest quality Virgin materials and a tightly controlled production process, you can be sure of consistent quality no matter the form that fits your application. 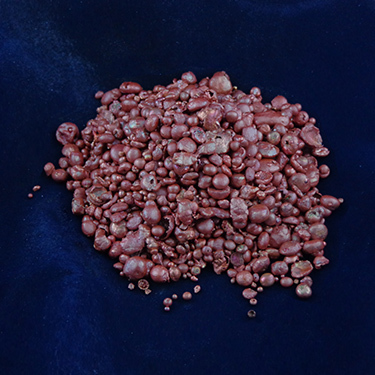 A Ferro-Copper addition acts as a grain refiner for Brasses and Aluminum Bronzes. It is also known to improve mechanical properties. Silicon increases fluidity in brasses and copper nickel alloys. 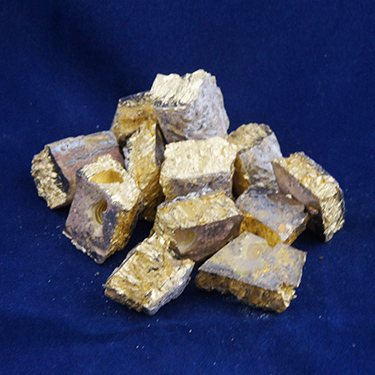 Silicon copper can become a deoxidizer if phosphorous cannot be used. 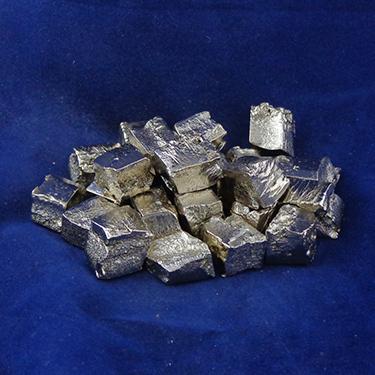 Magnesium is a strong deoxidizer particularly for nickel alloys. As a Copper master alloy it is effective and less reactive. If alloyed, in can improve mechanical properties. Chrome is an addition generally made in Copper Alloys for corrosion resistance and electrical conductivity. 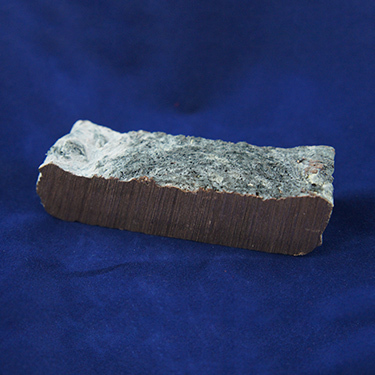 Cobalt is mostly added for improved corrosion resistance characteristics. Lithium has the advantage of being able to combine with both oxygen and hydrogen. Used on its own, Lithium will be more of a deoxidizer. 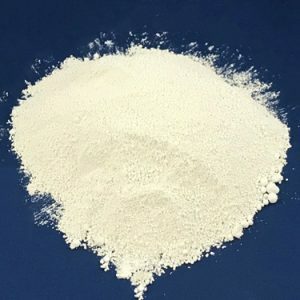 Used in a “duplex treatment”, deoxidizing first, then Lithium can be considered a degasifier now available to be a scavenger for hydrogen and other unwanted gasses. 1 Lb. Pcs. 1" X 1" x 4"
Nickel is known to improve corrosion resistance particularly in sea water. This makes it a good choice to improve the properties of marine alloys. Manganeze bronze is a high strength and a hard alloy containing manganese and zinc. It's used for highly stressed machine parts. Aluminum Bronze 415A Alloy CDA# 952 "Chemistry ONLY". 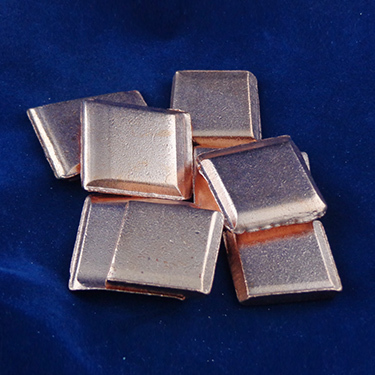 Aluminum bronze bearings are used in heavy loaded applications. Copper-Nickel 90/10 has a very good resistance to uniform and local corrosion in seawater and, as opposed to other copper alloys, is not as susceptible to stress corrosion cracking. 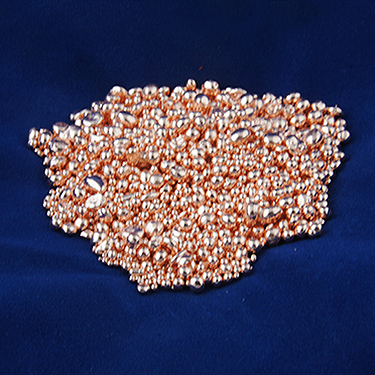 Copper-Nickel 70/30 excellent resistance to corrosion and erosion. It's strong and dectile and is utilized in areas where high temperatures and pressures, combined with high velocities and turbulence are serious problems. A Copper (Cu) Alloy containing Chromium (Cr) used for their high strength and corrosion resistance. 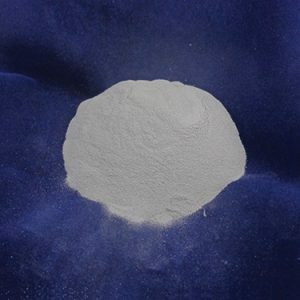 It offers high conductivity, good ductivity and strength. 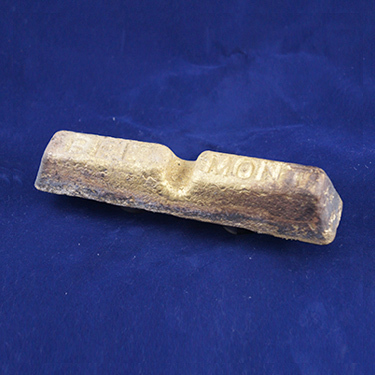 Serves as a master alloy to add chrome to various copper alloys. 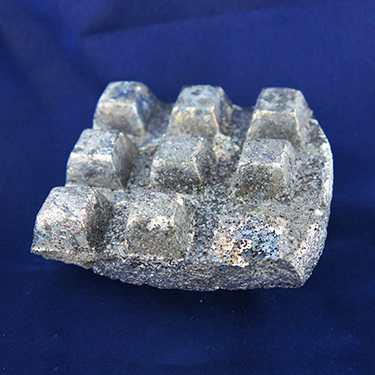 This is a proprietary alloy especially developed for Jewelry casting. 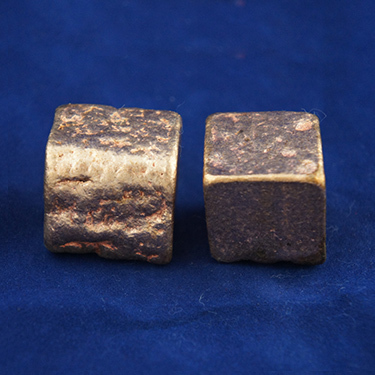 This alloy has a warm yellow color. This alloy offers a white color that is similar to White Gold Alloys and Stainless Steel Alloys. Often used for larger pieces such as belt buckles and larger jewelry pieces. 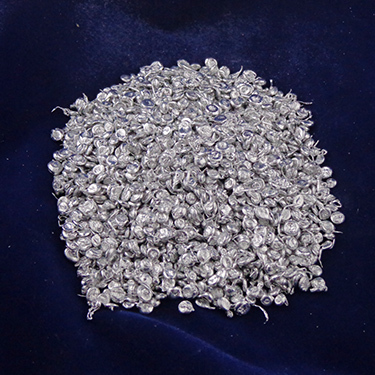 This is a proprietary alloy specially developed for jewelry casting. 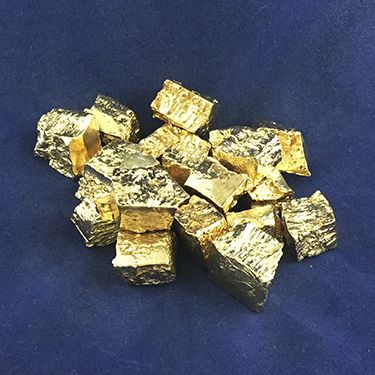 Casts well with a unique yellow gold color. Belmont Special "H" Silicon Bronze Alloy has gained increased popularity in recent years with art and jewelry casters, primarily because of its excellent fluidity, low-drossing tendency, sharp detail reproduction, minimal finishing requirements, high ductility and suitable as a cost-effective alternative to tin bronzes. 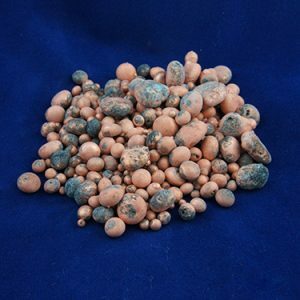 Excellent general use Bronze for most any Jewelry Applications. 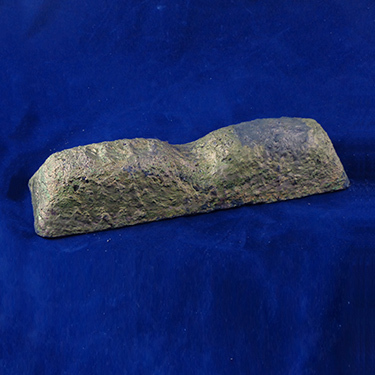 This alloy offers very high detail, easy castability, and accepts patinas very well. 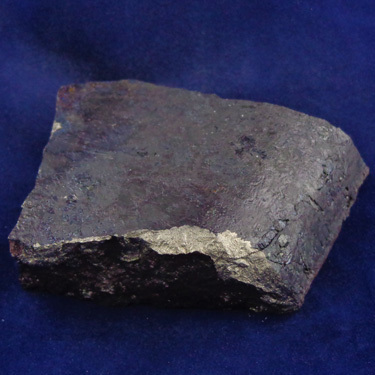 This alloy has a very warm bronze color. Tensile Strength: 55000 lbs/sq. in. Yield Strength: 25000 lbs/sq in. Master Alloy used in the production of Copper Alloys for a wide variety of industries. The introduction of Boron to Copper Alloys helps eliminate gas and porosity without the loss of conductivity. Can be considered either a deoxidizer or grain refiner. Generally, for pure copper its role would be deoxidizing but in brasses it’s more of a grain refiner. 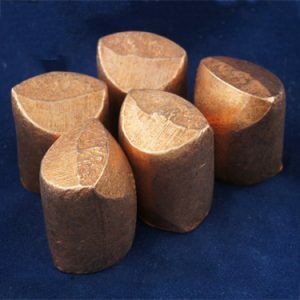 With the highest Copper content of all BeCu alloys this alloy offers superior strength and hardness along with superior thermal conductivity. It is recommended for Investment, continuous and centrifugal casting methods. Brass, which is an alloy made of copper and zinc, can be varied to create a wide range of brasses with varying properties, is widely used for decorative applications in antiques and ox finishes. 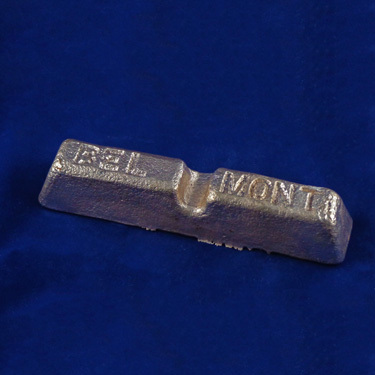 Brass plating is also a great alternation for sealing zinc die-castings for post molding operations. 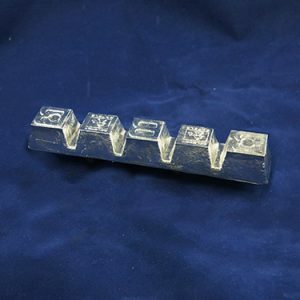 Brass plating provides an excellent diffusion barrier preventing components of the base material from migrating into the subsequent plating layers. 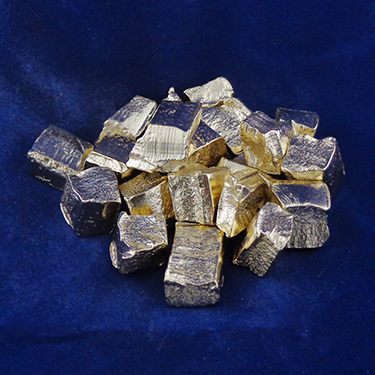 Electroplated cadmium is a robust and versatile metallic coating. 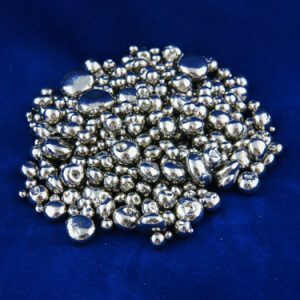 Cadmium is a soft white metal that, when plated onto steel, cast iron, malleable iron, copper, and powdered metal, functions as a "sacrificial coating," corroding before the substrate material. 2" diameter is a standard form for many plating applications. 2 IN Dia. Balls Approx 1.2 Lbs. Ea. Electroplated cadmium is a robust and versatile metallic coating. 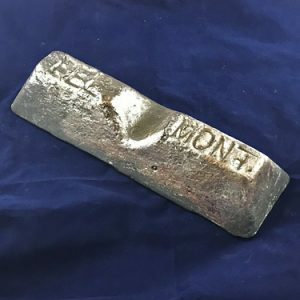 Cadmium is a soft white metal that, when plated onto steel, cast iron, malleable iron, copper, and powdered metal, functions as a "sacrificial coating," corroding before the substrate material. 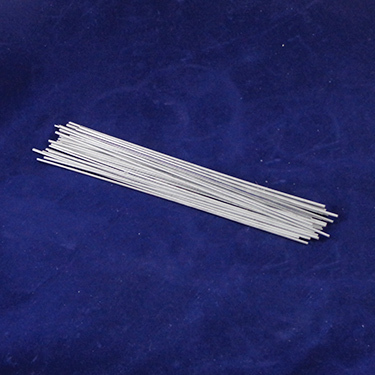 The 5-20 Mesh size offers increased surface area for plating. 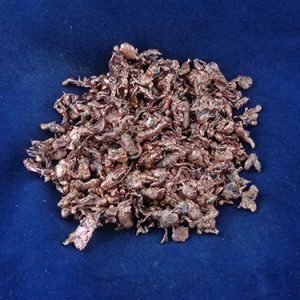 High purity Copper Anode that offers a consistent surface area and consistent dissolution and can be used in any anode basket or tray. 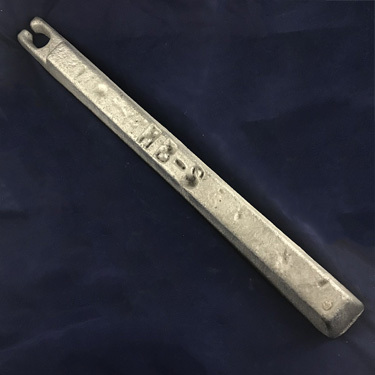 Used for many applications, including Ammunition, Coinage, Corrosion Protection, Decorative Plating, Electrical Connectors and Electronic Components and many more. Nickel coating is used for a wide variety of decorative applications. 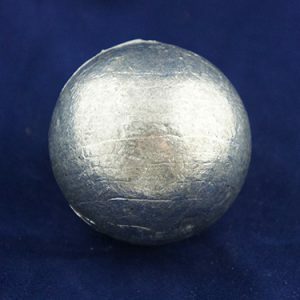 It offers a high luster finish, corrosion protection, and wear resistance. 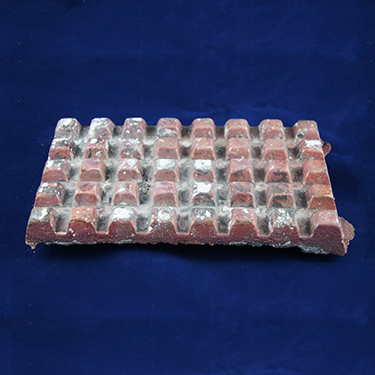 Used widely in the automative indutry and and for household items. Non decorative application provide wear and corrosion protection and additional strength. The Pellet form we offers increased flowability and will be easy to fill anode baskets of all shapes and sizes. 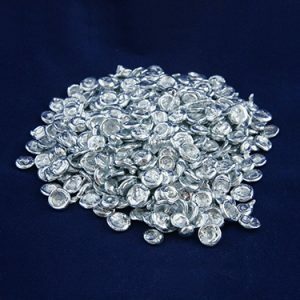 Vale S-Pellets are fully activated nickel anode material ideally suited for electroplating with anode baskets. 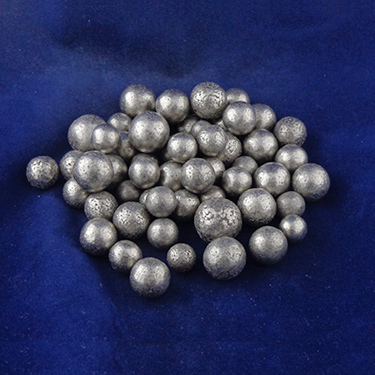 The pellets are spherical in shape and are made by a special gas refining process that retains a small, closely controlled amount of sulfur in the nickel to maximize its electrochemical activity. 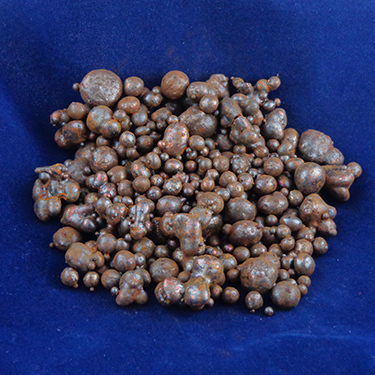 The unique spherical shape of Vale S-Nickel Pellets ensures a degree of flowability unmatched by any other form of plating nickel, and this property makes it relatively easy to fill anode baskets of various sizes and shapes manually or with the aid of hoppers, funnels, channels, and tubes. Zinc metal coatings provide better protection on Iron and Steel than any other corrosion resistant coatings. Plated SHG Zinc coatings are pure compared to hot dipped and are also thinner and more ductile, which allows them to be made brighter and more lustrous. 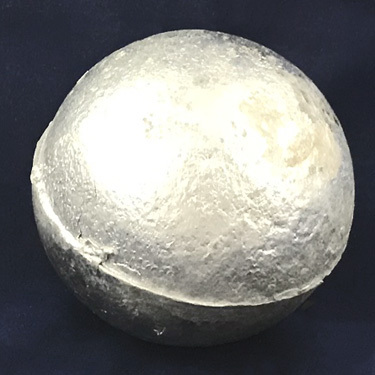 We offer this material in 2" diameter balls that are solid and clean and do not have any flash orgates which would cause backet hang ups. 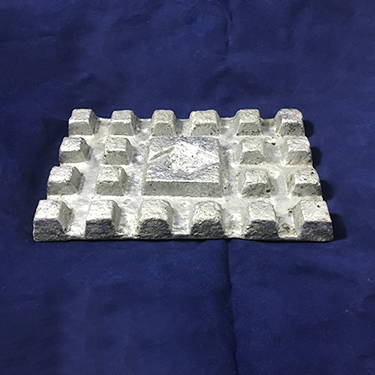 Mainly used in galvanizing steel to prevent rusting, in zinc die casting alloys and in copper based alloys, such as brass. Zinc is also essential to the growth of many kinds of organisms, both plant and animal. 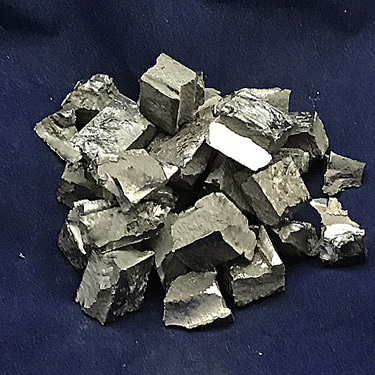 Zinc also extends the life of other material such as steel (by hot dipping or electrogalvanizing), rubber and plastics (as an aging inhibitor) and wood (in paints). 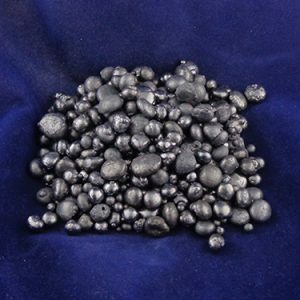 Our High Grade Black Cupric Oxide is used as a colorant in glass, ceramics glazes and enamels, ss a catalyst and in catalyst preparation, for Wood treatment chemicals, Copper plating, for preparation of other copper chemicals and other applications. Cadmium Oxide is used in electronics as a transparent conductor. 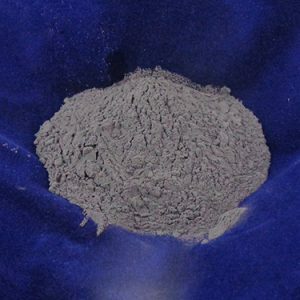 It is also used in electroplating, storage battery electrodes, catalyst, semiconductors, manufacture of silver alloys and ceramic glazes. This solder filler has a lower melting temperature than our brazing alloys. In solder joints the base metals will typically be much stronger than the solder following the soldering process. Silicon powder is used for a large and growing number of industrial and consumer products, including silicone rubber parts, urethane foam, sealants, adhesives, lubricants, food additives, coatings, polishes and cosmetics. Bismuth is a white, brittle metal with a slight pink color and is typically recovered as a by-product of lead and copper. It is commonly used as an alloying element for various low melting alloys where it is mixed with other metals such as Lead, Tin, or Cadmium. It is also used as well for a lead substitute in other materials. Our Powder is the finest form that we offer and has become increasingly popular as a substitute for Lead when producing Radiation Shielding Blankets. The powder has a purity of 99%. 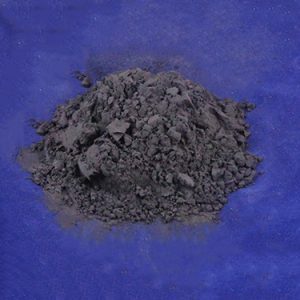 It is a black lustrous metal powder which is hard and ductile in nature. The ultrafine and nanometer powder have attracted a great deal of attention over past decades due to their specific properties such as magnetism, thermal resistance, chemical activity, high surface volume area, better reactivity, enhance hardness, semiconductor condition and high chemical activity having a wide range of applications including batteries, hard alloy, catalyst, electricity, etc. 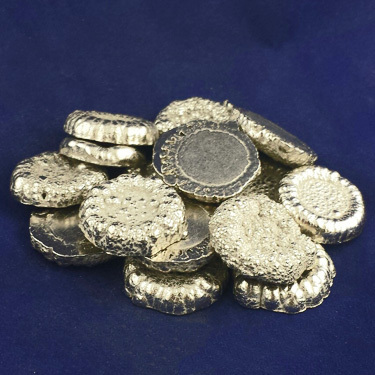 Pure Nickel is also widely used in the world's coinage systems, sonar and ultrasonic devices. 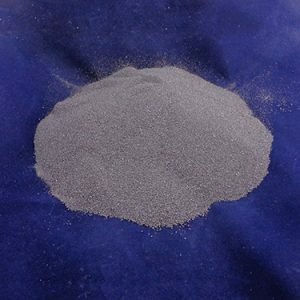 Tin Powders are used in applications as far ranging as self lubricating bearings, friction materials, chemical formulations, metal bonded abrasive wheels, cutting tools, and many more. Only the highest quality material and production methods are used to consistent quality. #250 Flake Copper for use in coating and thin film Chemical Vapor Deposition and Physical Vapor Deposition processes including Thermal and Electron Beam (E-Beam) Evaporation, Low Temperature Organic Evaporation, Organometallic and Chemical Vapor Deposition for specific applications such as fuel cells and solar energy. 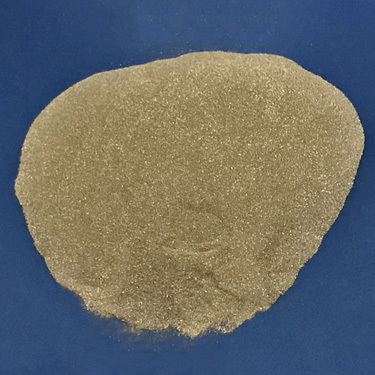 Our 325 Mesh Granular Copper Powder is a high purity material with closely controlled particle size, which allows for reliable performance. 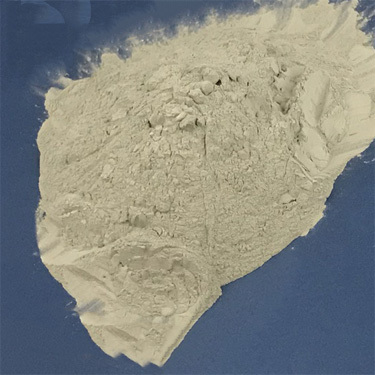 Applications for this material include Thermal Spray coatings, synthetic industrial diamond manufacturing, heat exchangers, and x-ray and radiation control. 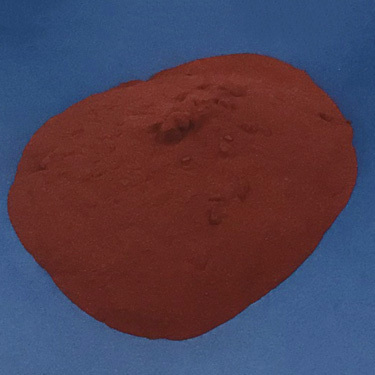 Our High Grade Red Cupric Oxide is used as a colorant in glass, ceramics glazes and enamels, ss a catalyst and in catalyst preparation, for Wood treatment chemicals, Copper plating, for preparation of other copper chemicals and other applications. 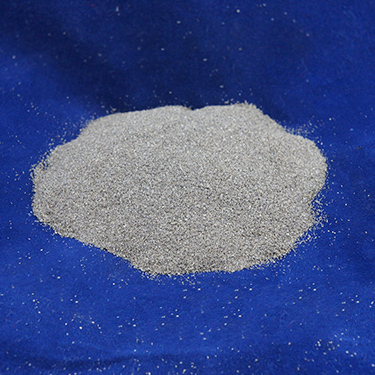 Aluminum Powder is used in the production of many types of explosives and fire works. It is also employed in the manufacturing of certain types of electronics. 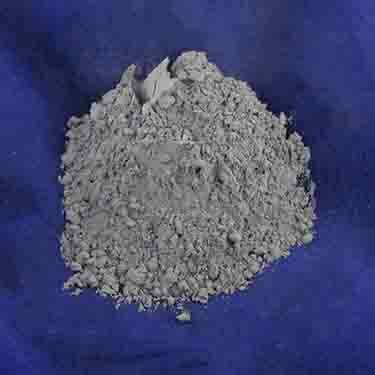 Powdered aluminum is included in many paints and sealants. Certain products design to carry electrical current, such as solar cells are often made using aluminum powder. 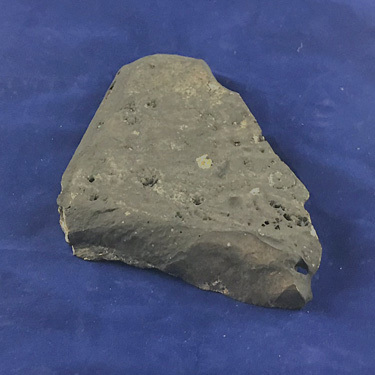 Rocket Fuel is often made with aluminum and many solid rocket fuels are based on chemical reactions involving this metal.